Nails are every woman’s best friend. They are beautiful, fashionable, and make you feel good about yourself. There is no way to replace a perfect manicure in a woman’s life. While it is so easy to crush on colourful well-manicured nails, women face the hardest decisions when they walk into a nail salon for a manicure. This confusion arises because there are just so many choices and the typical lady will want them all. Gel and acrylic nails are part of those endless yet attractive options you will be faced with. However, both manicures have been in the beauty industry for quite a while with users still not sure about the difference between both. What’s the difference between gel nails and acrylic nails? It will certainly feel good to learn the difference between both options and be able to make an informed choice yourself on your next visit to the nail salon. At Trieu Nails, the best nail salon in London we have experience and knowledge on both gel and acrylic nails. Hence, in this article, we will discuss the differences to give you the clarity you need. Gel nails are a popular choice, preferred mostly for their smooth finish and glossy appearance. They can be done with natural nail plate or nail extensions. Gel nail extensions are used when you need longer nails but with a gel manicure. The gel nail polish is applied in three layers known as the base, builder, and top coat. Each layer is cured under a UV light for few minutes. 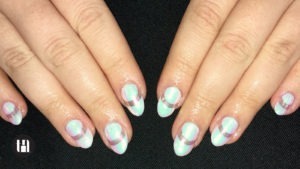 Afterwards, the nails are filed, polished with a colour of choice or designed with nail art. Acrylic nails can be applied either on the natural nail bed or with extensions. The main difference from gel nails is in the product itself that consist of the liquid monomer and the powder polymer. Acrylic sets naturally in minutes without the help of any equipment. Gel nails have a glossy and more natural appearance on the hands. This makes gel nails popular and an attractive option most times. Acrylic nails are equally beautiful but do not offer that glossy finish like gel nails. They look sturdy and fierce giving more character to those that prefers wearing them. If not properly applied, Acrylic nails tend to look unnatural. Acrylic nails are a faster alternative to gel nails as the product dries while it’s being applied. Gel nails, on the other hand, require few minutes to be cured under the UV light. Of course, no manicure lasts forever but your nails can be worn for a certain amount of time before they start to crack or lift. We suggest, to get the best out of your nails, to maintain them every two to three weeks with both products. This is significant and affects most people. Acrylic nails give off a strong smell during application. Gel nails are lifesavers in this area because they are completely odourless. They give off no smell during application. There is such a thing as having flexible nails and most women can agree. Gel nails have a natural finish and are lighter on the nails.Because of this they might not be as strong as acrylic nails but they cause less damage to your nail bed in case of breaking. This makes them more flexible to wear without fear or pain from accidents. Acrylic nails do not offer this extent of flexibility. Their makeup is hard wearing and durable but they’re not as flexible as gel nails. Acrylic nails may cause severe or mild damage to nails when applied or removed incorrectly. There is the risk of allergic reaction when the primer comes in contact with skin. Gel nails equally come with risks and effects on nails. However, overuse or improper application of a primer in gel nail manicure can lead to the same damaging effects as acrylic nails. The removal process of gel and acrylic nails is different. It is preferably done by a professional at the nail salon.Acrylic nails have to be soaked in acetone and buffed off. Gel nails instead need to be filed off completely since the product doesn’t dissolve in acetone.This process may weaken the natural nail bed. You can give your nails a few days to recover their strength before having another mani or moisturize more often and learn to care for them in-between manicures. This is hardly a defining factor between these two wonderful options, but gel nails are generally more expensive than acrylic nails. 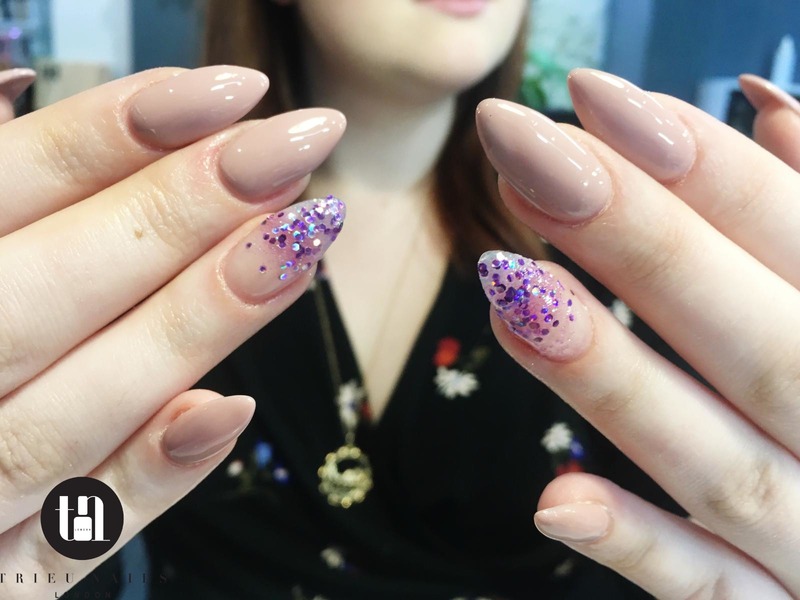 These are the differences between gel nails and acrylic nails, so that myth is solved and you have the power to make more informed decisions on your next visit to Trieu Nails. 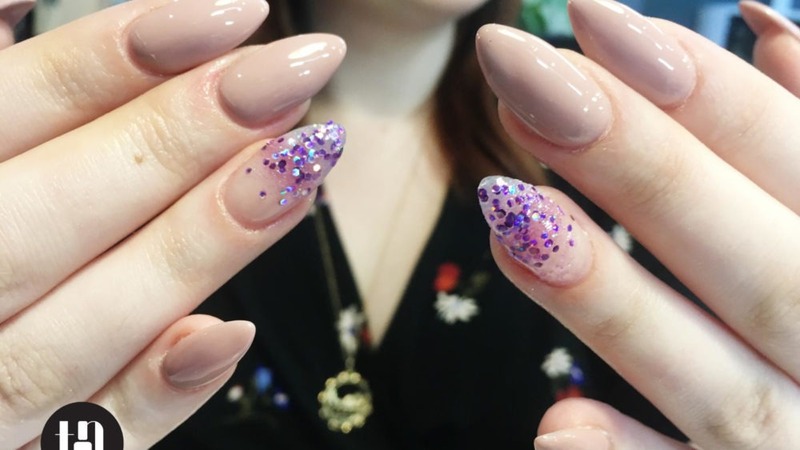 Bear in mind that your choice of nails should also reflect the consideration of other factors such as lifestyle, job, personal taste, and budget. 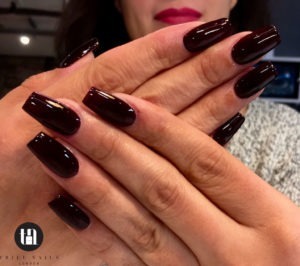 However, regardless of what you choose, Trieu Nails the best nail salon in London can give you the best manicure and guarantee a flawlessly beautiful finish.